Are you always boasting about your ball skills down the pub? 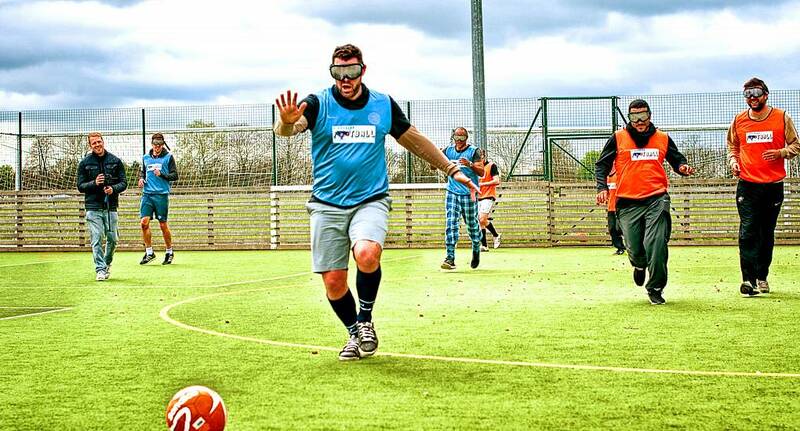 Once you've tried Goggle football, and you may soon regret the bragging that you've been doing. Each player is wearing a pair of specially designed goggles which act as binoculars, meaning that the moment you put them on, the ball (and everything else around you) appears to be ten times further away than it is. The ensuing match will be the one of the funniest things you have seen in years - watching your mates trying desperately to kick the ball but only managing to connect with fresh air.